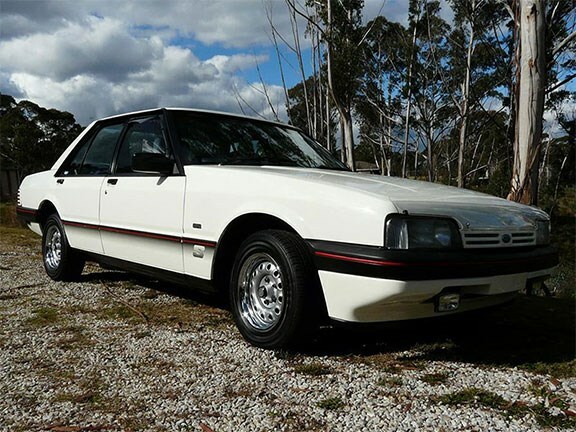 The XF Ford Falcon is the third iteration of the fourth generation of the Aussie made marque, and was built between October 1984 and February 1988. The XF was made available to customers in a number of different body styles that included a four-door sedan, five-door wagon, two-door ute and a two-door panel van. Engine choices for the XF were actually rather limited, as the vehicle was only ever offered with a 3.3lt and 4.1lt inline six-cylinder motor. Power from these two engines was sent to the rear wheels via an array of transmissions that comprised a three-speed automatic, three-speed manual, four-speed manual and a five-speed manual. Trim specifications for the XF included the Falcon, Falcon GL, Falcon GLS (ute only), Fairmont and Fairmont Ghia. The XF was also offered with an optional ‘S Pack’, which added body stripes, fog lamps, unique wheels, ‘S’ badging and a sports instrument cluster. Although production ran for less than four years, the XF Falcon was the most successful Falcon the Blue Oval ever produced, with over 278,000 being built. This particular XF Falcon is a ’84 model with the optional ‘S Pack’, 4.1lt six-cylinder donk and a four-on-the-floor manual transmission. According to the seller, the vehicle has travelled an original 149,000 kilometres from new and, judging from the photos, the XF appears to be in very good condition. The seller is asking $20,000 for the XF and anyone keen on this Aussie icon can view the full listing here. Victoria to host Targa Florio!